Magnesium citramate is a dietary supplement designed to help your body absorb magnesium. Magnesium is an important mineral for your health, since it maintains strong bones and teeth and is required for proper nerve and muscle function and regular heart rate. Magnesium citramate is a product manufactured by Thorne Research, a company that primarily makes dietary supplements. The company claims that the citrate-malate salt of magnesium helps your body absorb the magnesium more easily, preventing a deficiency. The product comes in capsule form to be taken orally, and each capsule contains a dose of 150 mg of magnesium. The product also contains leucine, an amino acid, and silicon dioxide. According to the National Institutes of Health, magnesium is one of the most abundant minerals in your body, necessary in more than 300 biochemical reactions. Without enough magnesium, many of your body's systems suffer, from your nervous system to your gastrointestinal tract. Symptoms of a mild magnesium deficiency include appetite loss, nausea, fatigue and weakness. As the deficiency progresses, you can suffer from numbness, muscle cramps, seizures and abnormal heart rhythms. Magnesium citramate can be used to prevent or treat a deficiency. Magnesium citramate does have some minor side effects. If you are allergic to any of the ingredients listed, it may cause a reaction. However, the product is free of most common allergens: no gluten, soy, dairy products, lactose, artificial colors or sweeteners. Some individuals may suffer from gas, bloating, or diarrhea. These side effects should resolve when you reduce the dose. Women who are pregnant should talk to their doctor before taking magnesium citramate. You should use caution when taking magnesium citramate, since too much can be toxic. 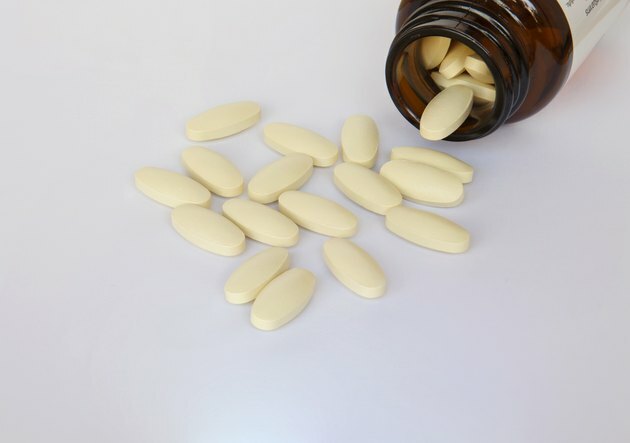 The upper tolerable intake of supplemental magnesium is 350 mg daily, so you should take no more than two 150 mg capsules -- unless otherwise directed by your doctor. According to the Linus Pauling Institute, magnesium toxicity can result in fatigue, confusion, heart arrhythmias, impaired kidney function and a sudden drop in blood pressure.